Today is my buddy Steph’s birthday. 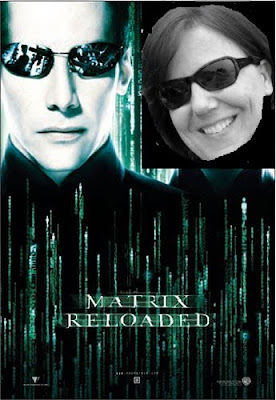 Now I could spend a bunch of time explaining to you why I superimposed her picture onto a Matrix movie poster, and wax poetic about voodoo chicken necklace wearing hound dogs and the alternate universes of Texas and Georgia, but some things should just remain a mystery. Besides, it would take too long. And I’m feeling sort of lazy. Which is cool, because this is for Steph. And she’s probably feeling lazy too. The Red Clay Diaries? If you like this blog, you’ll be all up in that one. Promise.